I've been a little bit obsessed with summer lately. I keep looking up things to do and places to go, and inevitably what to wear and what I'll need to protect myself from the heat and sun. So I was thinking, my hair will definitely need a UV protectant. I was, at first, all set on buying a high-end, hi-shine glossing serum with UV protection, but decided against it in the end. While looking for other UV protectants, I stumbled upon a great way to protect hair and style it at the same time! Summer and beachy, wavy hair go together like (borrowing a page from Forrest Gump's book) peas and carrots! So here's how you get beach waves. David Babaii, Kate Hudson's hairdresser, uses this exact product to create her signature waves. It has a very coconut-y fragrance, and fights frizz really well. It defines already wavy hair, or helps create a base for styling straight hair. There's only 1 listing for it on eBay, but Australian buyers can easily get it at any Priceline. 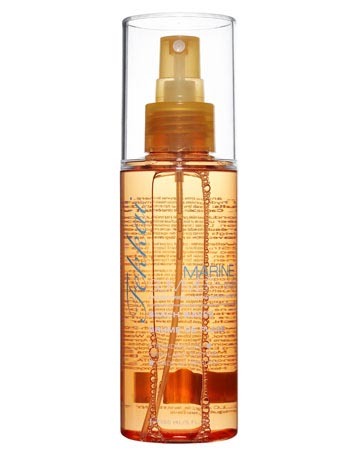 To create waves for straighter hair with this spray, wash your hair at night, then when it's almost dry, spritz this on evenly, and put your hair into braids all over your head. You'll want to create smaller braids for a tighter curl, and larger braids for looser, bigger curls. Leave them on overnight, and just remove the braids in the morning, and spritz on a little hairspray for added, lasting hold. 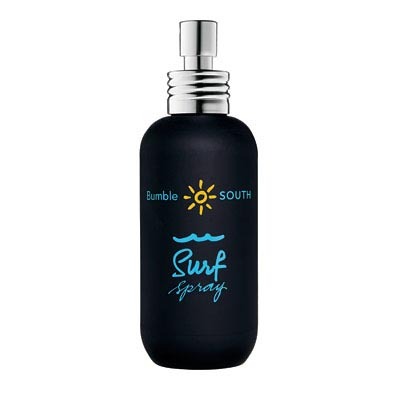 This is one of the more pricey surf sprays, but a lot of people have said that it's well worth the cost! 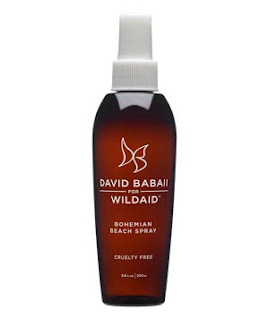 This spray creates waves in even stick-straight hair. It works better when it's heated up, so you're best off creating this style with a blowdryer and scrunching your hair. Get it here on eBay. This spray works better with slightly wavy to wavy hair. It provides moisture while at the same time creating the beachy, wavy look. To create waves with straighter hair, use the overnight-braids-technique mentioned above, and you're good to go! This lists at USD16 on eBay, which in my opinion, is a pretty good price! When creating waves in your hair, the most important thing to do to prep your hair for the summer is to get a good deep conditioner for your hair. Your hair will need all the moisture it can get. Also, get a good leave-in conditioner to provide continuous moisture throughout the day. This helps prevent frizz, creating a smoother, more glossy wave.